The performance of Sign-Tracking behavior does not appear to be under the voluntary control of the subject. If it were, the subject would be expected to simply not do it, particularly when the performance serves no purpose other than to deprive the subject of the actual reward itself. Nevertheless, subject after subject, in species after species, behave in this odd way, losing the majority of their food rewards by failing to restrain the tendency to display Sign-Tracking behavior when they are in the presence of the reward symbol. 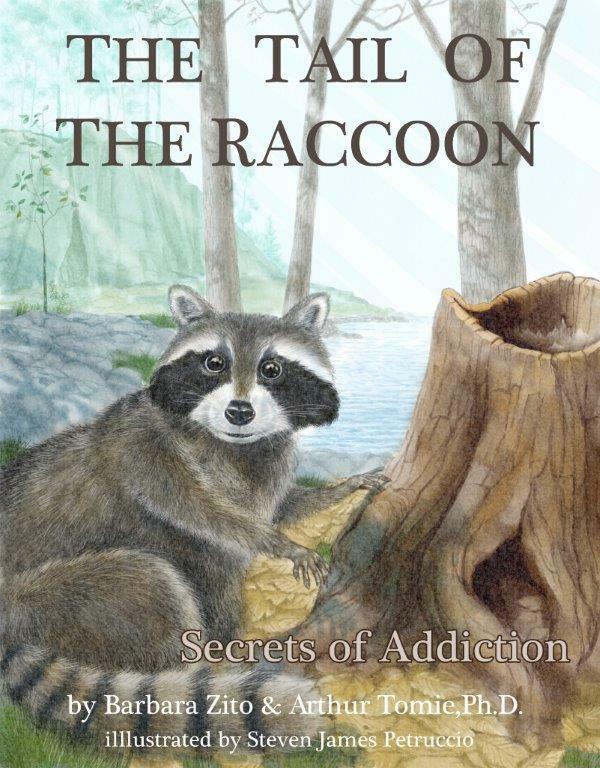 The behavior of the Raccoon character in “The Tail of the Raccoon: Secrets of Addiction” is modeled after descriptions of Sign-Tracking behavior found in scientific journals. This phenomenon has been described by research scientists who have studied the effects of pairing small symbols with rewarding substances. Research such as this provides compelling testimony to the power of reward symbols and their ability to control and to direct behavior. Sign-Tracking is important because it provides us with a way of understanding how behavior can become irrational and defy free will. Consider the intention of the Raccoon. The Raccoon is very much interested in eating Mapache’s delicious treats, but eventually, after many pairings of wood and food, his intention to devour those tasty morsels is seldom observed. Instead, his actions are those of Sign-Tracking. The disconnect between the Raccoon’s intentions and the Raccoon’s actions are not unlike those of the drug abuser, who intends to restrain drug-taking, but, instead, finds himself or herself unable to control the impulse to have yet another.